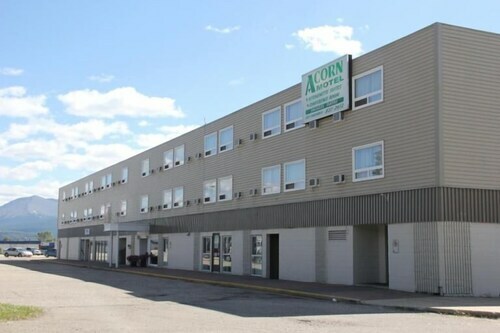 Located in the heart of Grande Cache, this hotel is within a 15-minute walk of Grande Cache Tourism and Interpretive Centre, Central Park Spray Park, and Grande Cache Labyrinth Park. Grande Cache Golf and Country Club and Jasper National Park are also within 3 mi (5 km). 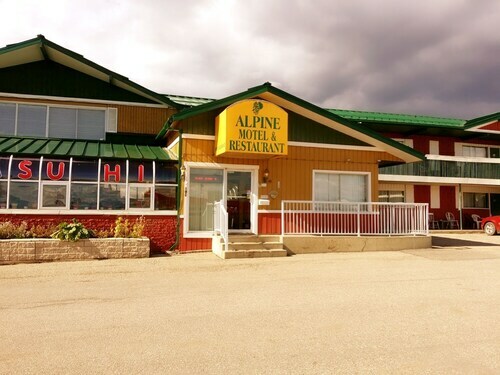 Situated in Grande Cache, this motel is within a 15-minute walk of Grande Cache Tourism and Interpretive Centre, Grande Cache Labyrinth Park, and Central Park Spray Park. Grande Cache Golf and Country Club and Jasper National Park are also within 3 mi (5 km). Pet owners shouldn't miss Grande Cache, a city known for its horseback riding, and sights like Jasper National Park and Central Park Spray Park. Take your pick from Travelocity's 2 pet-friendly hotels and accommodations in Grande Cache and bring Fido along! Enjoy the fresh air at Grande Cache Labyrinth Park and Two Lakes Provincial Park. Other things to see include Grande Cache Golf and Country Club and Grande Cache Tourism and Interpretive Centre. Dogs are allowed for a fee at this 2.5-star hotel, although restrictions apply. Guests appreciate its location and spacious rooms. Pets are allowed for a fee at this 2.5-star motel, although restrictions apply. Weather can make a huge difference, especially if you're hoping to spend time outdoors. We have gathered the average day and night temperatures to help better plan your vacation in Grande Cache. From January to March, average temperatures range from 42°F in the daytime to -5°F at night. Between April and June, the daytime average is 70°F and the nighttime average is 21°F. From July to September, average temperatures range from 72°F in the daytime to 34°F at night. Between October and December, the daytime average is 55°F and the nighttime average is -3°F.